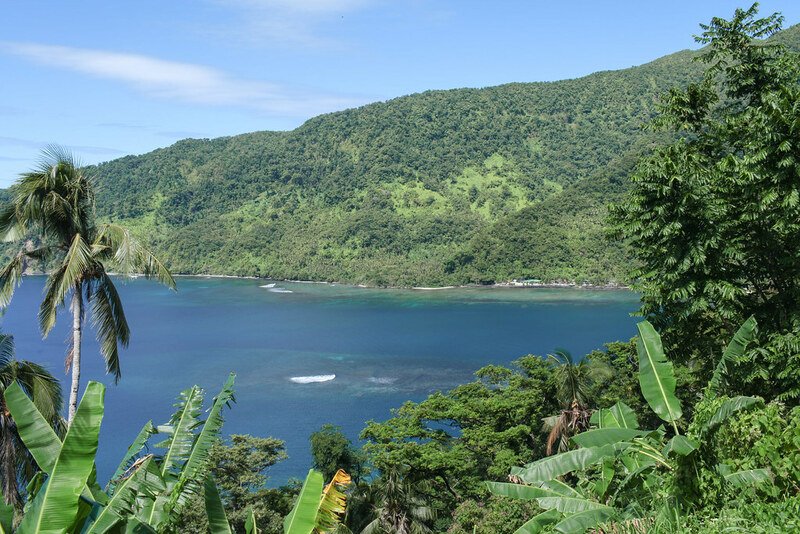 Completely off the tourist radar, Samoa is wild, rugged, unpredictable and the perfect destination for real adventurers. It’s one of the very rare countries that doesn’t yet have a solid tourist infrastructure so everything is a challenge but the extra effort is so worth it. 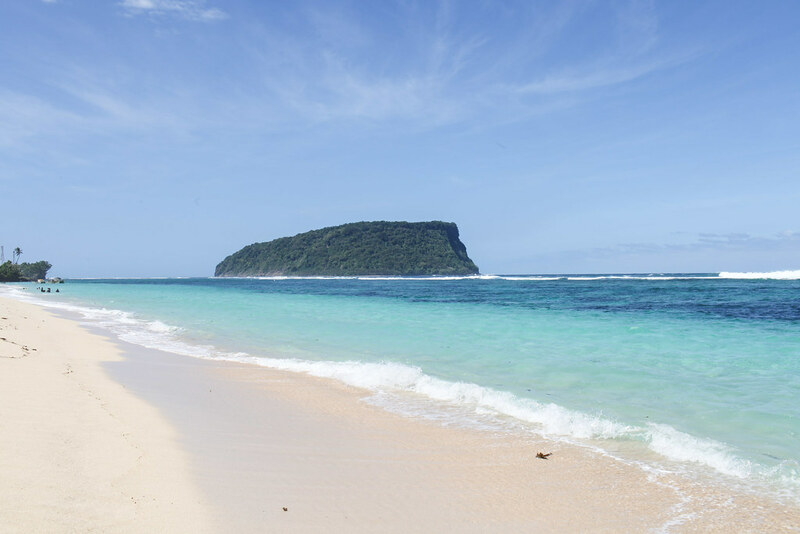 So what’s so tricky about travelling around Samoa? Roads too dangerous to drive down, nowhere to eat outside of the main town and many of the attractions being on private property are just a few of the challenges we faced. Should this put you off visiting? Absolutely not. It’s not as easy as travelling through other countries, but the untamed nature, smiling locals and turquoise ocean more than make up for it. Samoa gets a lot of rain so be prepared for at least a few showers even during dry season. 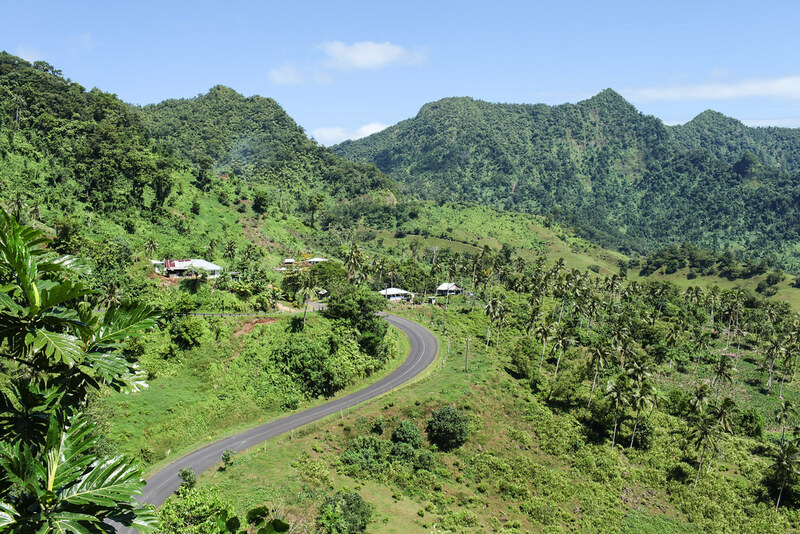 No country could be as green as Samoa without it’s fair share of rain. August is the best month to go with fewer wet days, more sunshine and less humidity. It’s also the season where humpback whales migrate to Tonga so you might just get a glimpse of these majestic mammals. Shrouded in tropical plants and hanging vines, the Sinalei is a jungle retreat in the heart of Samoa. 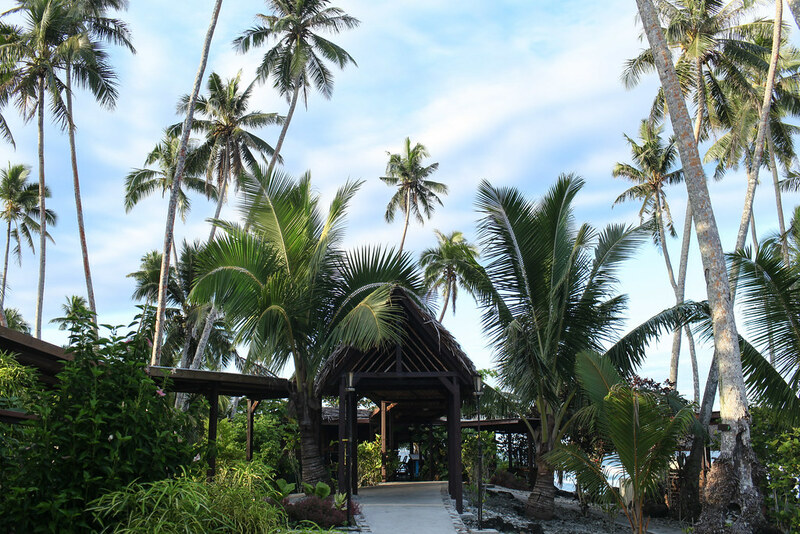 It’s the most luxurious place to stay on the island, but offers guests understated luxury sticking to its humble Samoan roots. Set against a stunning private beach, Return to Paradise is an ideal place to come to soak up the sunshine and snorkel in turquoise waters. 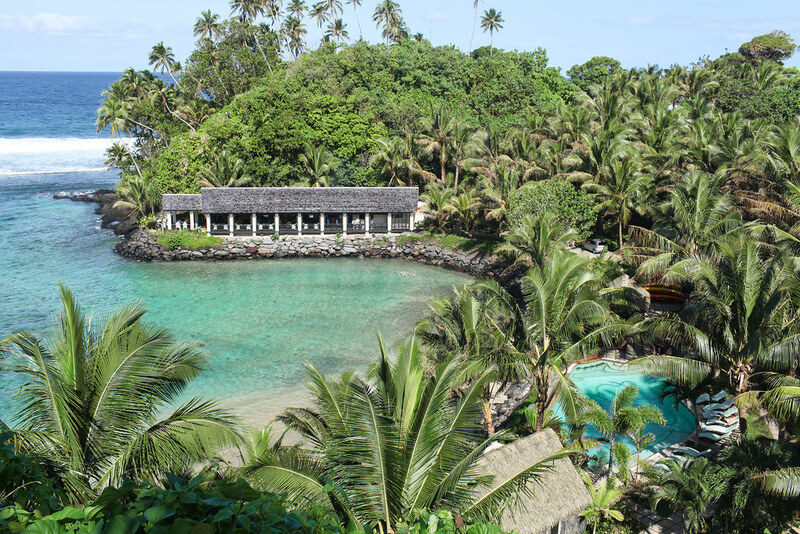 This Samoan-owned and family run resort offers guests insight into Samoan culture with a touch of luxury. We didn’t stay at this resort, but we dined here and fell instantly in love. As we descended the road we spotted a jungle-clad swimming pool, swaying hammocks and aquamarine waters. The restaurant overlooks the water and serves up wood-fired pizzas as well as fresh seafood. Breathtaking plunge-pool surrounded by hanging vines and over-grown jungle leaves. Thrill seekers can jump in, or those who are slightly more cautious can take the ladder down and float in buoyant sea water whilst watching the clouds above. This is hands down one of the most beautiful drives of my life. The winding road passes through a wide valley lined with jagged mountains and provides photo opportunities around every bend. Iridescent blue water sparkles brighter the further you descend into the cave. 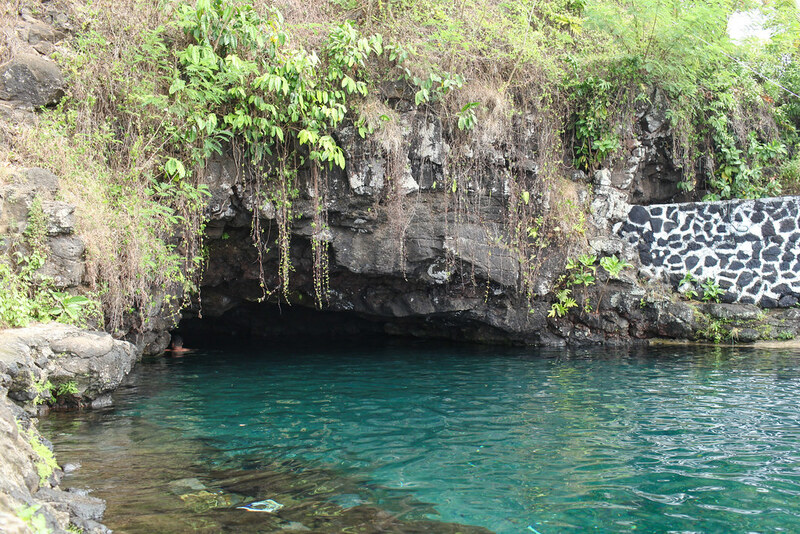 You can swim all the way through the cave to another spring on the other side but you’ll need to hold your breath and squeeze through a small opening underwater. 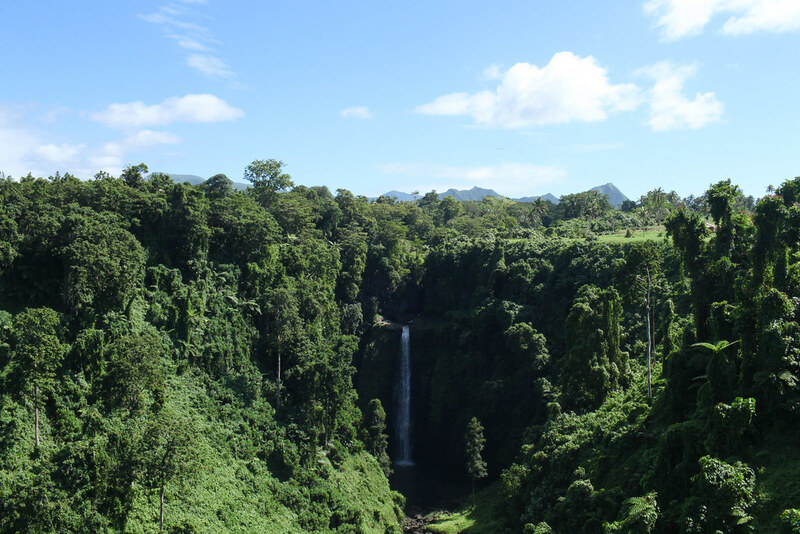 Sopoaga Falls is a cascading waterfall surrounded by the greenest, most tropical jungle I’ve ever seen. Try to go when the sun is shining to see it in all its glory. 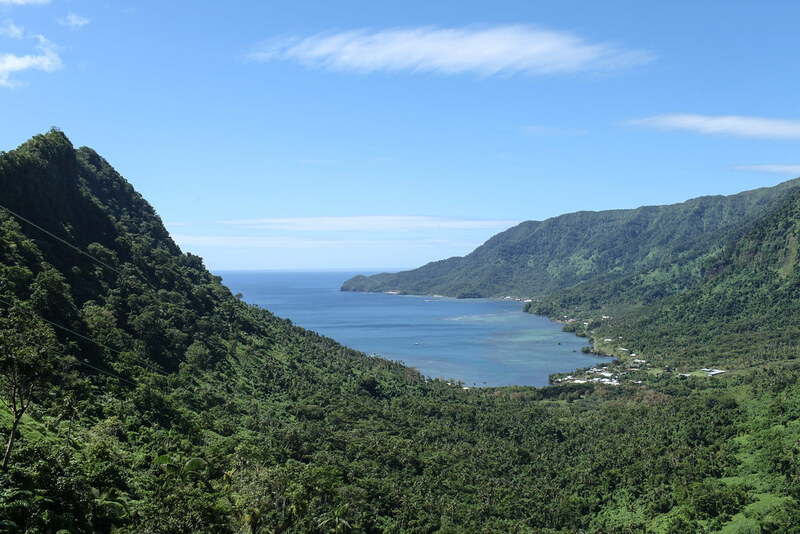 This is one lookout you cannot miss in Samoa. The road to reach the lookout winds its way through tropical jungle until you reach the top which overlooks magnificent Fagaloa Bay. Far below you can see the speckled sea glistening under the sunshine and hugged by towering, jungle-grown peaks. Uafato Bay is a glorious bay, but the road to get there is the highlight. The winding roads hugs the coastline offering dozens of lookouts over the vast ocean. You’ll be stopping so often to take photos that your travel time will no doubt be doubled. 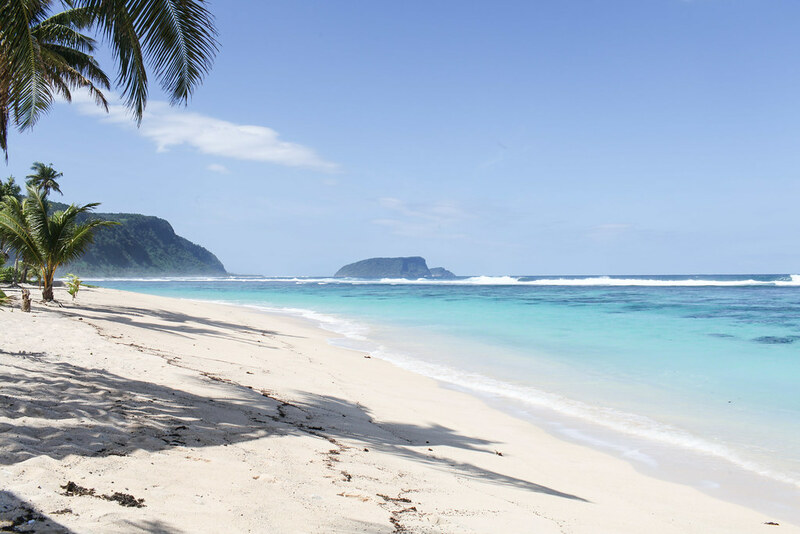 This beach epitomises the real South Pacific in all its rugged, imperfect beauty. Coconut shells are scattered along the sand, seaweed is washed up to shore and ferocious waves meet gentler turquoise waters. 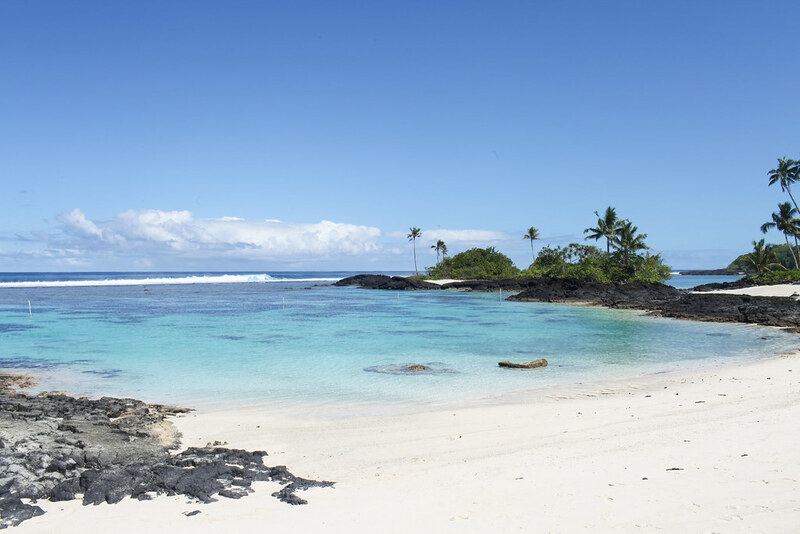 Framed by volcanic rock and tall palm trees, Matareva has all the charm of a rugged Samoan beach but with crystal-clear waters. The only downside is the road to reach the beach, which feels like a never-ending drive through countless pot-holes. 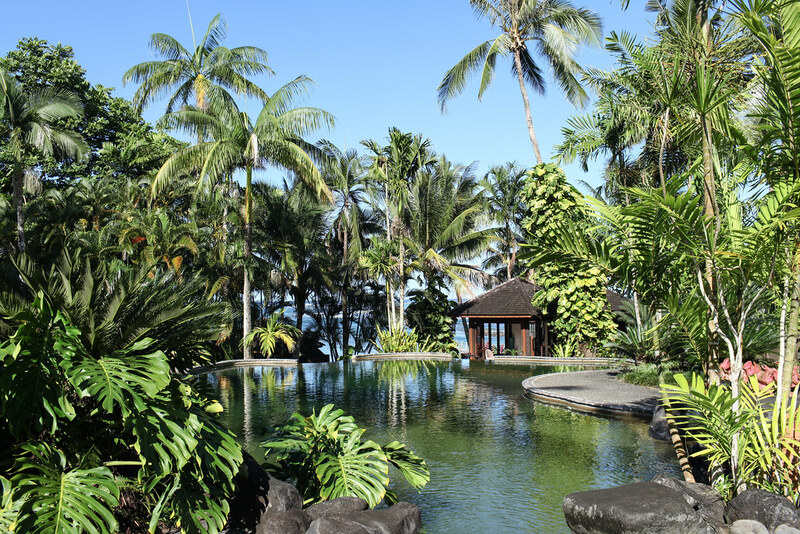 You don’t have to be a guest at Sa’Moana Beach Resort to enjoy its infinity pool and stunning seascapes. Entrance costs only 25 tala and is consumable, so you can happily spend the whole day sipping on coconuts and Taula beer on one of their sunbeds. This is relaxation at its finest. Coconut milk is a staple in Samoan cuisine and you’ll find it in nearly every traditional recipe. When I think of coconut buns, I think of pastries swirled with desiccated coconut, but these are something else. 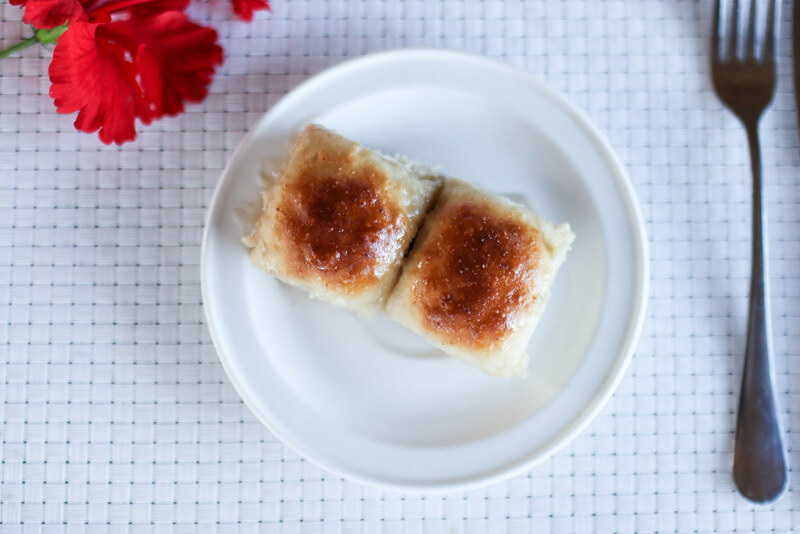 Fluffy little buns are soaked in sweet coconut cream creating a moist and dangerously more-ish snack.